Made by Lee Kum Kee, a well-known, modern producer of high-quality products. Wow--we Love the wonderful aroma of this sauce! A ready-to-use all natural sauce made from selected black peppers. Use as a gravy for your favorite steaks and as a condiment for stir-fries and marinades. Sample recipe: Black Pepper Steak. Heat oil over medium heat, pan-fry a 6 oz steak for 5 minutes or until done. Heat 1/4 cup Black Pepper Sauce and pour over steak, serve with jasmine rice and enjoy. Packed in a glass jar. 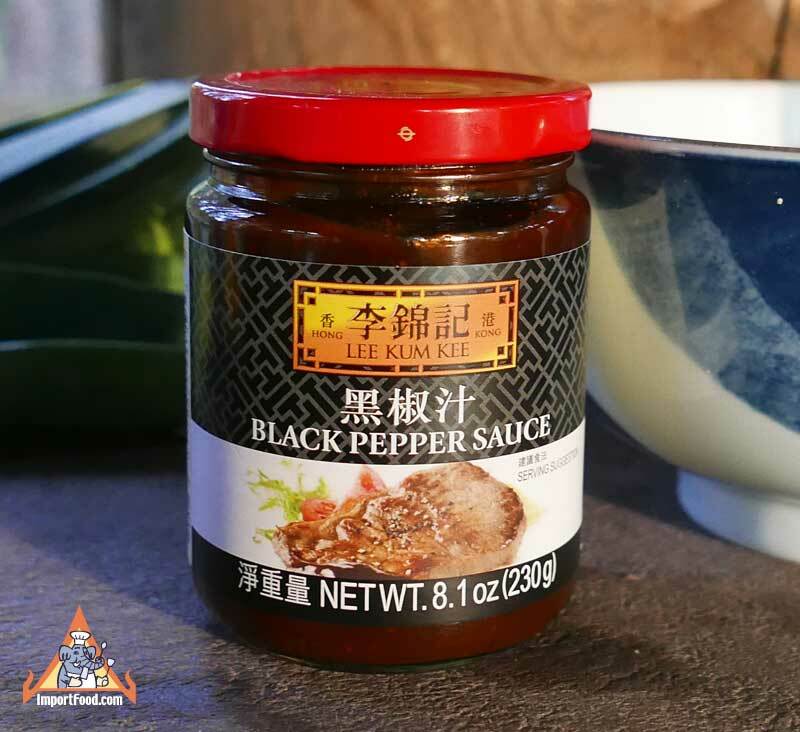 Ingredients: water, sugar, soy sauce, tomato paste, salt, black pepper, dried garlic, modified corn starch, soybean oil, caramel color, citric acid, oyster extractives. Product of Hong Kong.